ahhhhhhh he’s assing me, he’s assing me, he’s ASSING ME!!! mom! what the heck are you yelling about?? 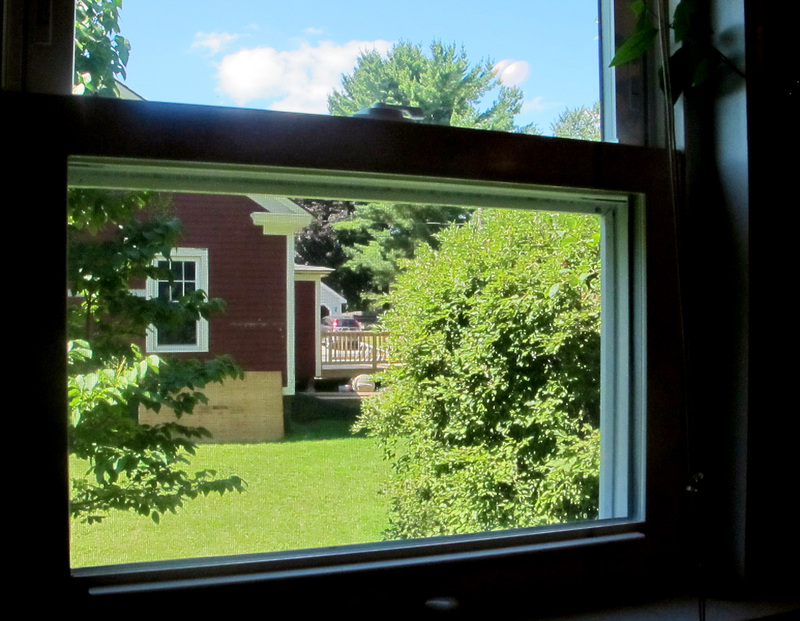 this is the kitchen window we look out every morning as we wait for the coffee to brew. and no we are not spying on the progress of the house next door or trying to see who our new neighbors will be or what they are going to do with the house and if they are going to put in a fence or if they will have a scary dog, we are just not those kind of neighbors.